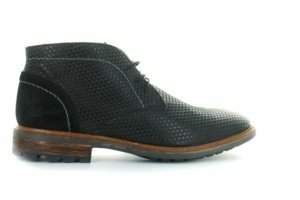 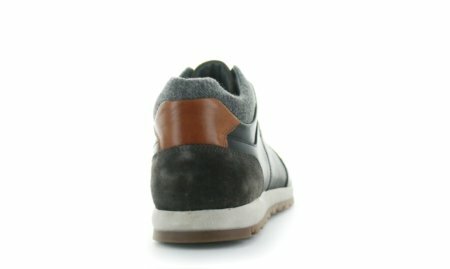 Casual mid height bootie on a profiled outsole. 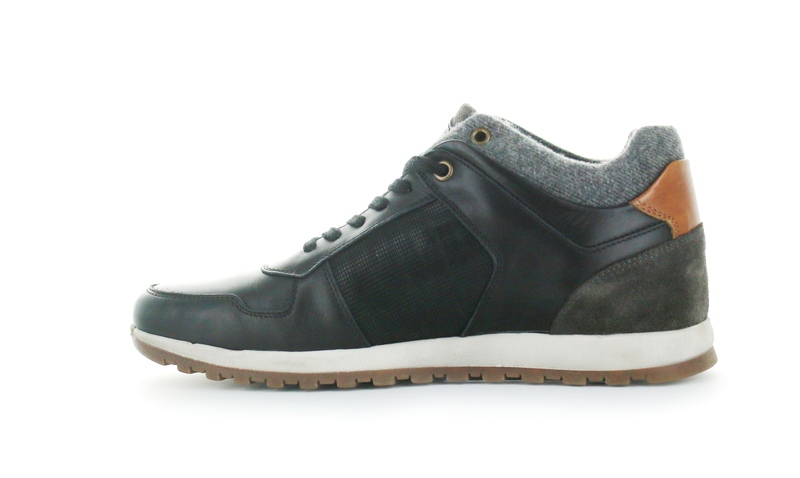 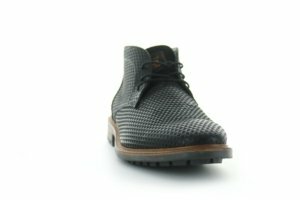 The upper combines calf leather, suede and a trendy grey tweed. 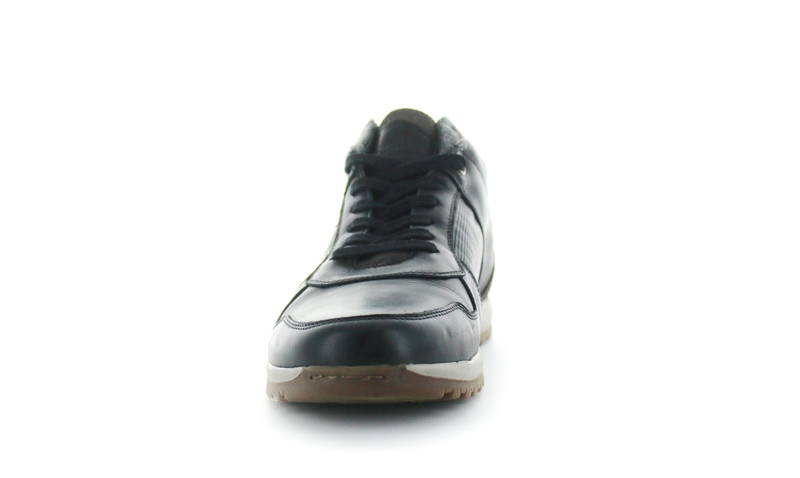 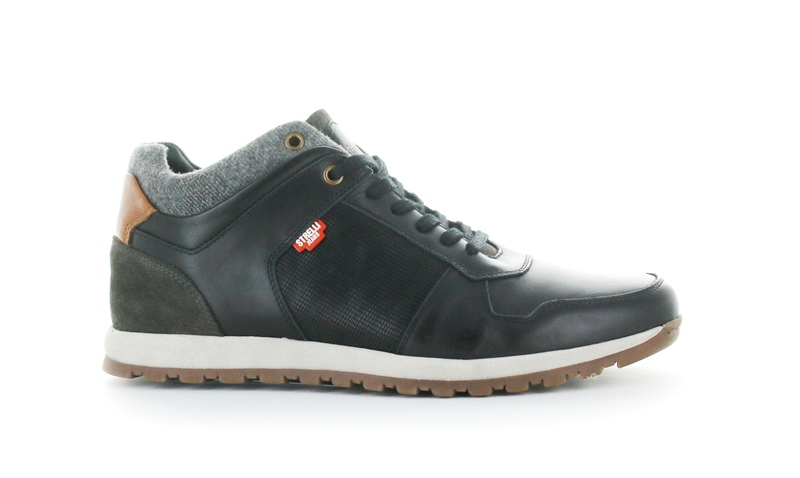 Full leather lining and removable insole covered with soft leather. Made in Portugal.